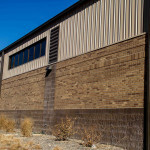 One design challenge of this long, large pre-engineered metal building was that it sat along a high-trafficked boulevard. 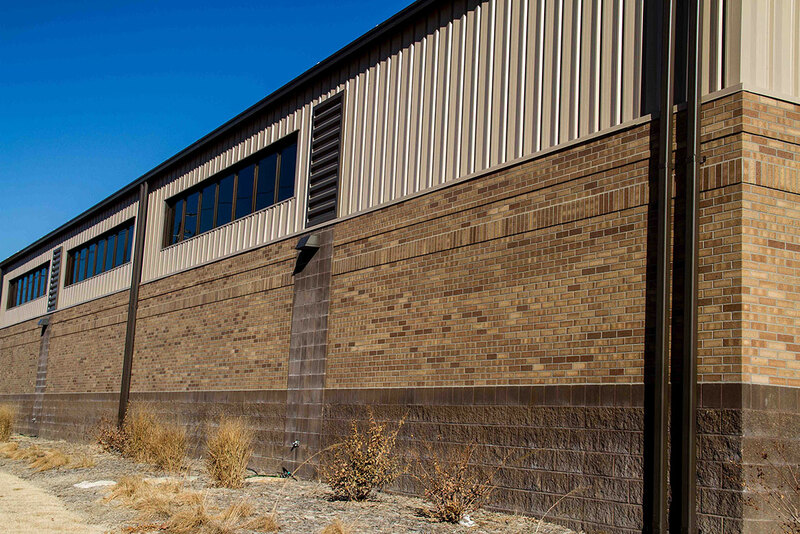 To bring some verticality to the long side, and to make the building more appealing to passersby, the exterior was clad with brick that incorporated faux columns made of pre-colored CMU veneer and contrasting metal wall panels. 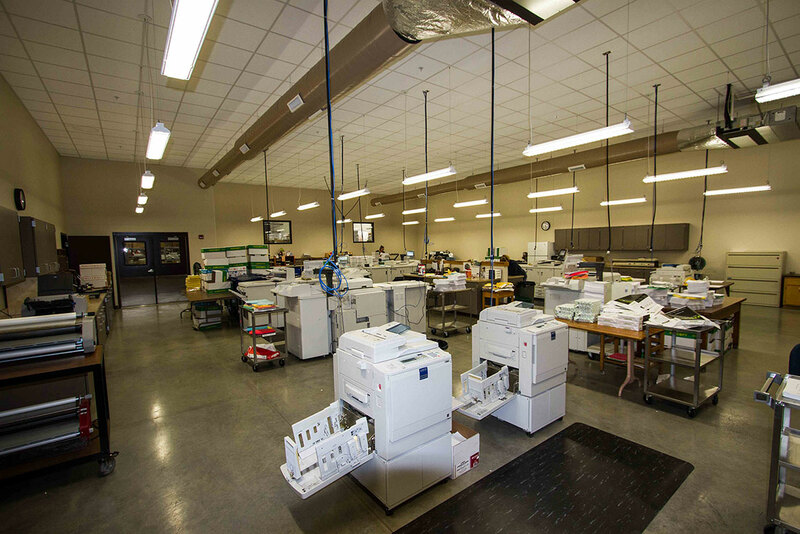 The most notable interior feature of the building is the 30,000+ s.f. 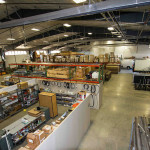 of warehouse, storage, and work area. 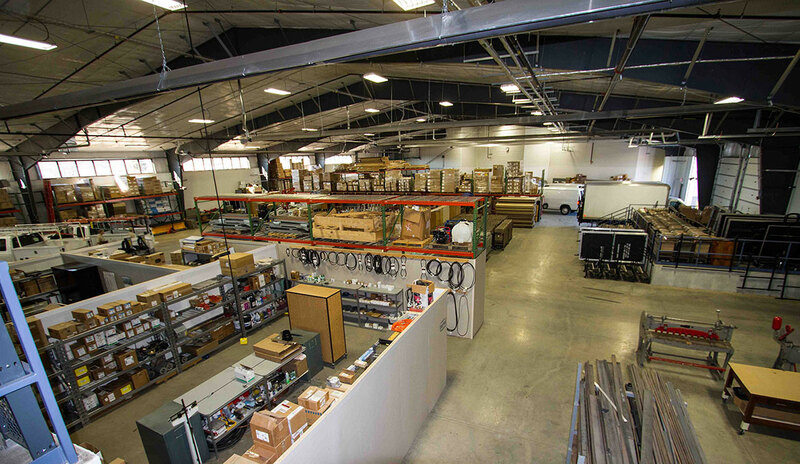 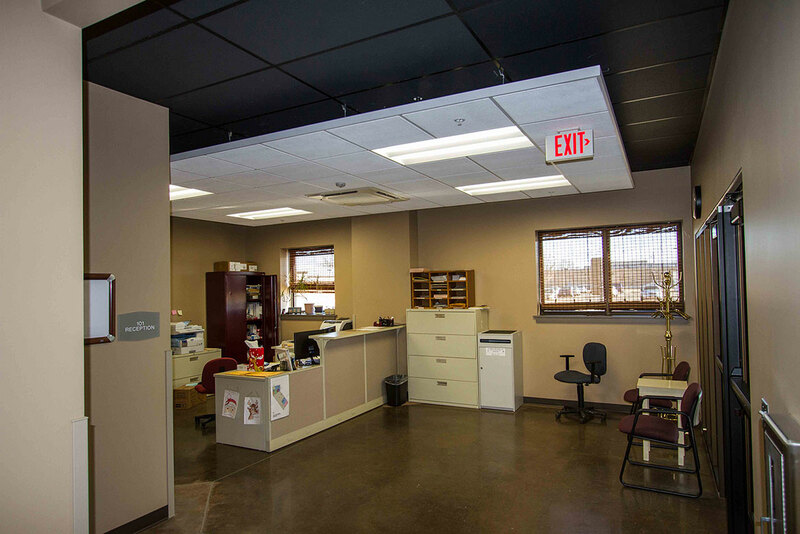 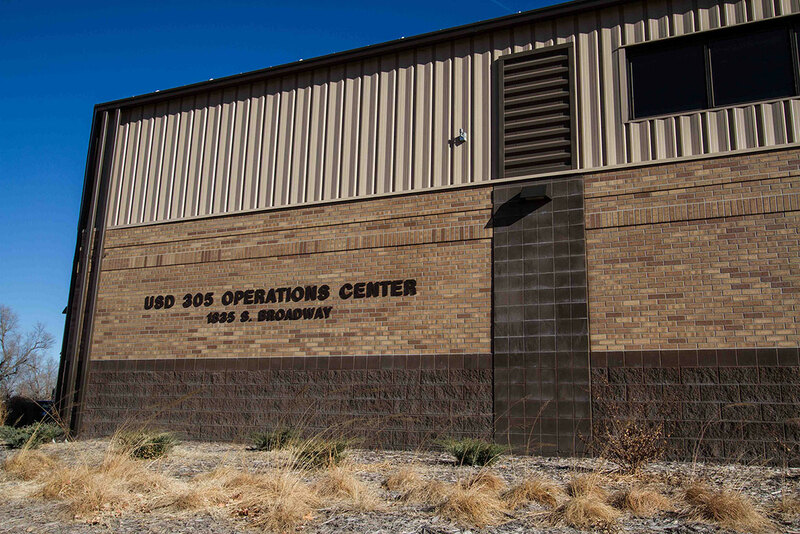 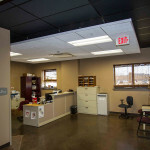 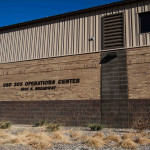 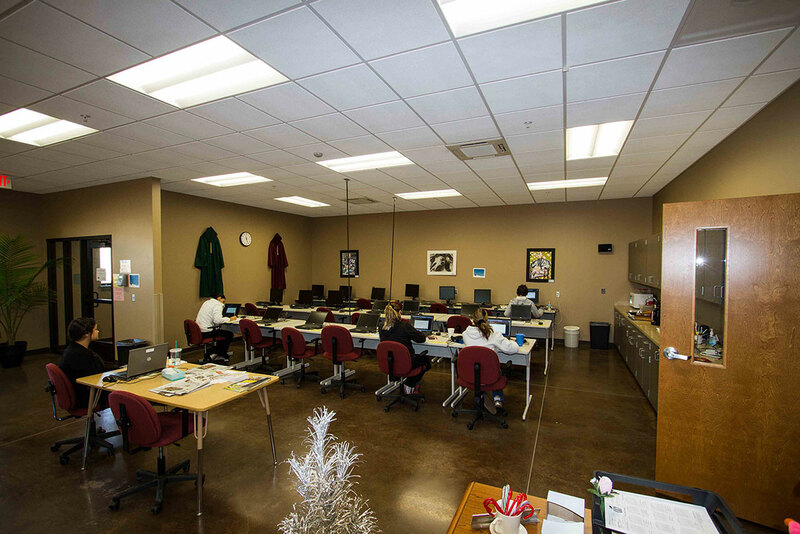 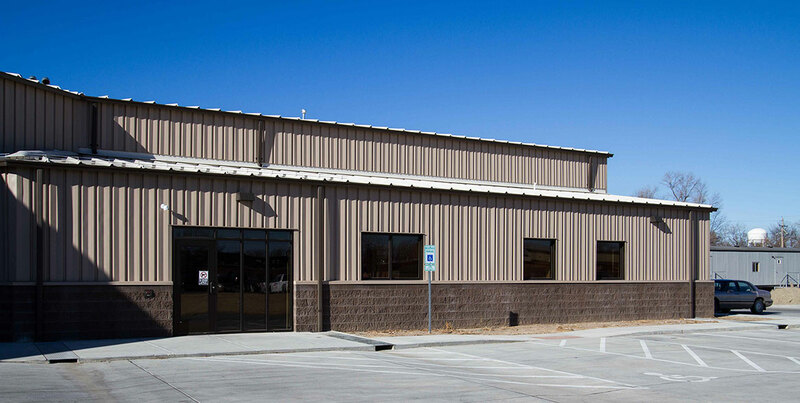 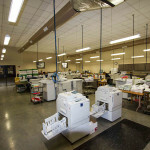 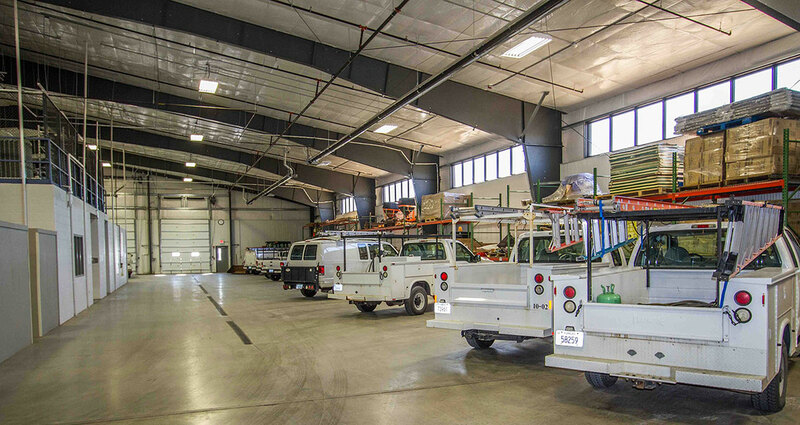 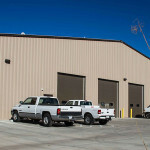 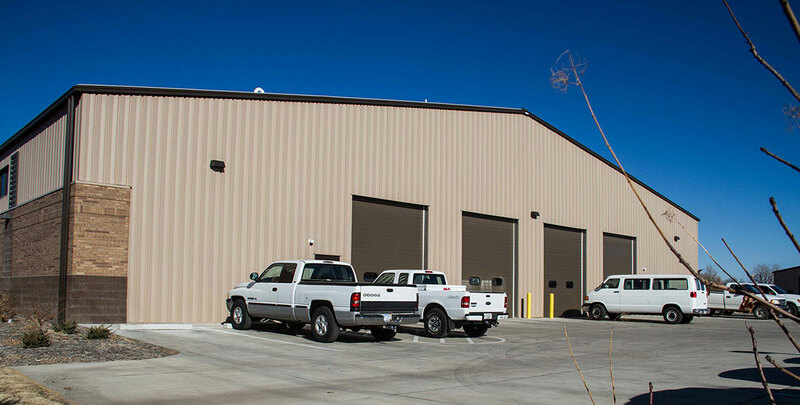 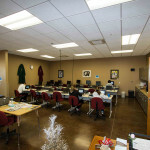 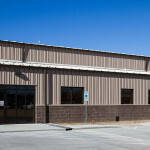 The space is equipped with 5 service bays, a loading dock and parking for over 12 work trucks. 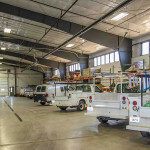 Large skylights were incorporated into the roof of the warehouse to bring natural light into the space.